Our surf school uses special surf board for beginner’s lessons. Surface of the board is made soft to minimize the injuries. It also has great stability in the water for easier take off and balancing. You can also rent this board from our surf school. 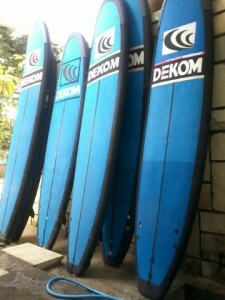 This is a very good board for Kuta beach when the wave is small and mellow. 17th of August is independence day in Indonesia. 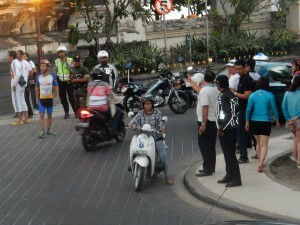 You will see many half red and half white flag especially in Kuta area. Our surf school also display the flag to celebrate the independence day. There are many events held in Kuta Beach all the time. 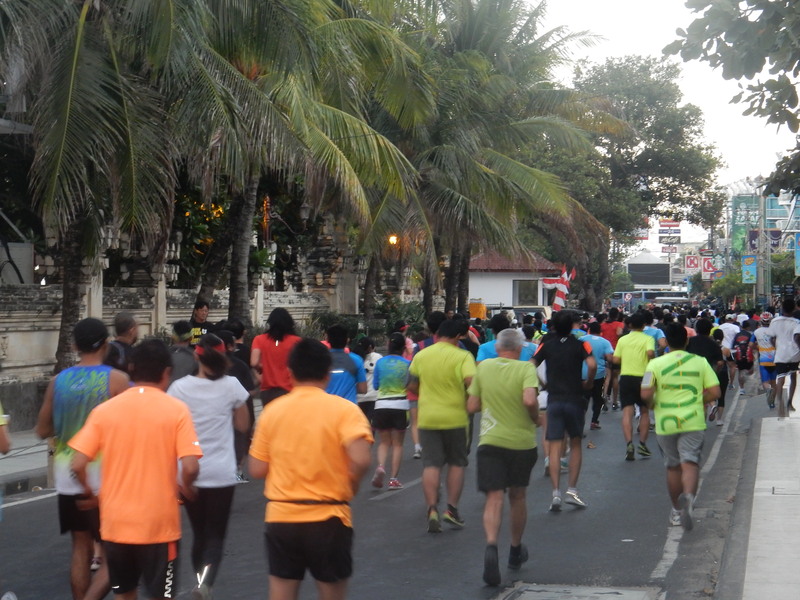 This morning was Marathon. 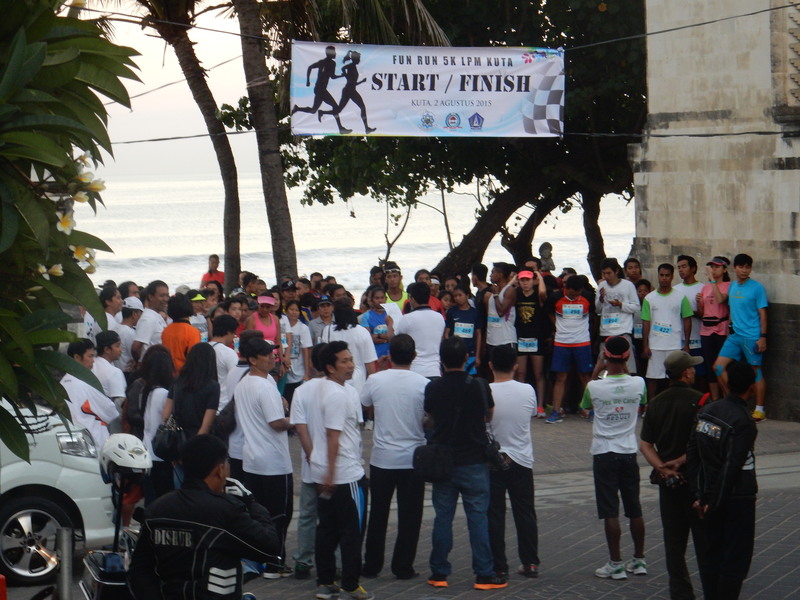 Started around 6:30am. 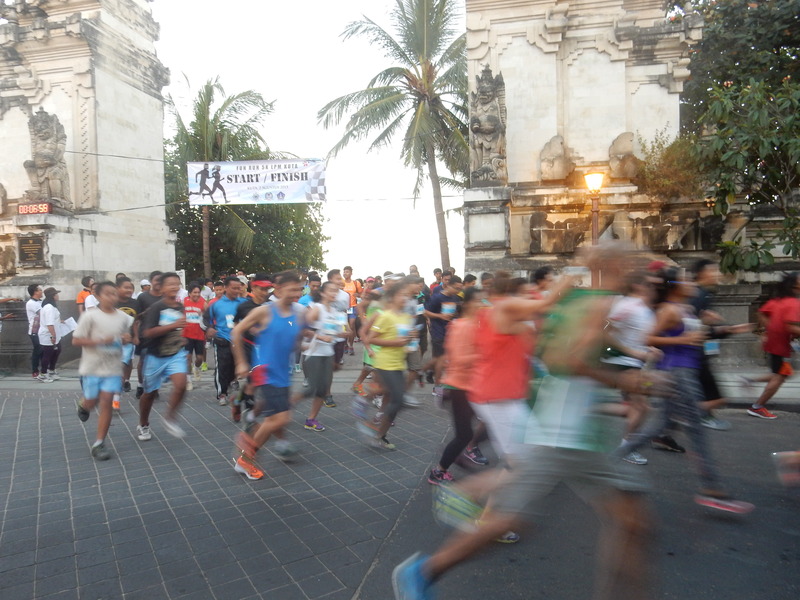 Many people gathered by the gate to Kuta beach, which is right in front of our surf school, and enjoyed early morning run around Kuta.